How about we stay with the topic of why some atheists are angry a bit longer? I have an example of the sort of thing that ticks me off, and I suspect that I'm not the only atheist who feels the same way. 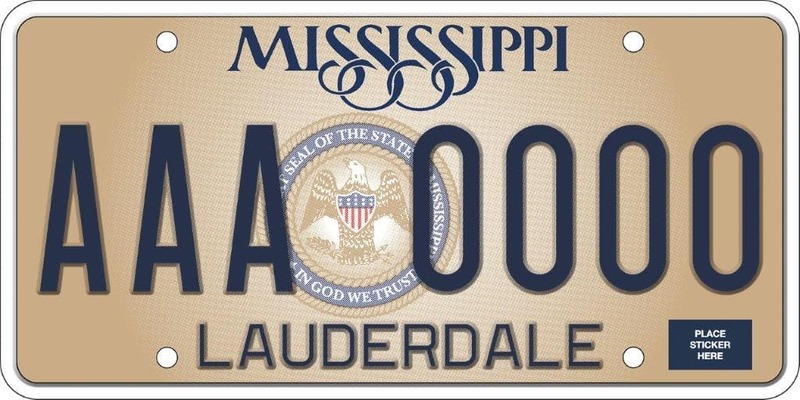 I was not happy when I first learned that the state of Mississippi would be replacing our license plate design with one displaying the state seal which contains the inaccurate "in god we trust" message. I do not believe in any gods, much less trust in an unspecified one of them. But to be honest, my main issue with the new plates was that they were ugly. I really liked the old design and thought it was one of the more attractive ones I had seen. Of course, this was my main issue only because I naively assumed there would be an alternative design which those of us who were not interested in promoting imaginary beings could select without having to pay extra. As it turns out, this was not the case. Drivers in Mississippi now have two choices. We can either affix the ugly new god-promoting plates to our vehicle or we can pay extra for an alternative plate design. How much extra? I believe the alternatives are anywhere from $25-$50 per year on top of what we already pay. If it was a one-time fee, I'd probably just hand over the "atheist tax," but having to pay it each year seems like a bit much. My brand new godly plate arrived in the mail last weekend, and it is now on my car. Although it is undeniably ugly, I have to admit that the size of the god-pushing part and the colors they used makes it hard to make out the words unless you are less than a foot from the plate. Even when I am directly behind another vehicle at a stoplight, I can't make out the objectionable words on the plate. It is nothing like the alternative plate option that spells out "GOD BLESS AMERICA" in huge block letters across the plate. While I do hope various secular groups follow through on their threats to sue Mississippi to force them to provide an alternative of equivalent cost, I will be surprised if they prevail. It seems like the time to oppose this would have been when the state decided to promote a god on the state seal. Now the state can claim that they just put the state seal on our plates. Of course, the difference is that they are now legally requiring atheists to display this message or pay extra for an alternative. That seems like a clear violation of separation of church and state, and it should not be legal.